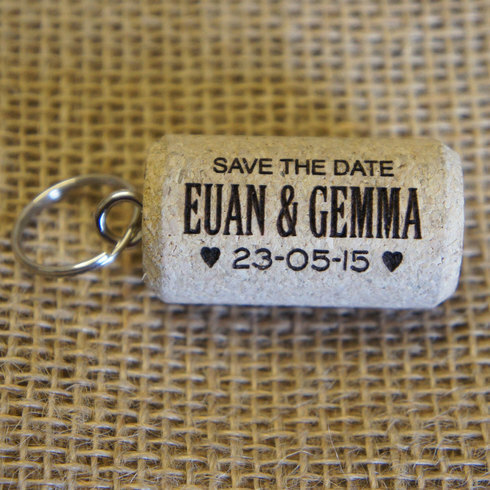 I think Save the Dates have only been a big thing over here in the last few years, the idea has somehow crept its way across the pond from America. When we got engaged I was so excited about sending out Save the Dates as our wedding was two and a half years away when we first booked it. Designing Save the Dates was a good excuse to start a wedding project when everything else was so far off from needing to be sorted. Granted we now have them sitting in a cupboard 9 months after getting them as I decided to give them out to my little sisters wedding which will be 14 months before our wedding. I was already obsessed with Pinterest at this point so had searched long and hard for different ideas. The one thing I found when searching was that most websites Pinterest takes you to are American which isn't so useful when you are in the UK, so if you have had the same problem this post might help. It is a good idea to make your Save the Dates a little unique as your guests usually have these for a long period of time and its good to make them something they won't just put in a draw and forget about. I absolutely love this idea I think it is so fun. Tea towels are such a cute way to let people know when your wedding is and its practical, not just a piece of paper with some info on it. This website is really lovely looking, very girly and fun there is a great range of designs and you can select different colours to change your design. You contact them with the details and design which is good as you know you are getting the personal touch. Free samples are also available which is helpful as larger save the date items like this are not as cheap as a card invite might be so it's good to know you are getting what you want. 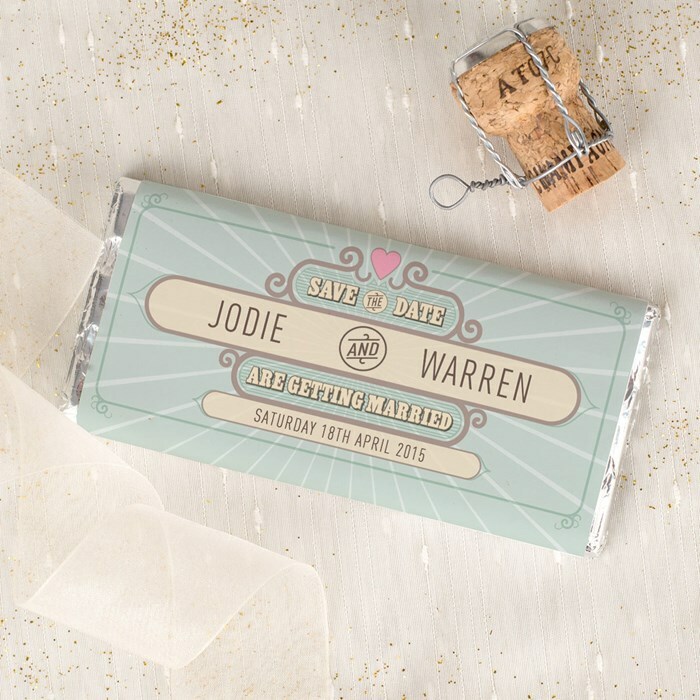 Another really fun website to get your Save the Date tea towels beautifully designed and again you contact them to finalise the details but the prices are clear on the website. You can also request samples which again is fantastic. Magnets are a good way to keep your wedding date at the front of people's minds by putting it right on the front of their fridge. This has become a popular choice for couples over the years and I really like the idea of magnets as it not totally different but it still has a unique edge. Bride & Groom wedding is a wedding stationery website with a few extra wedding accessories. These magnets are good modern designs and they come on mounted card which makes them a lot more put together. 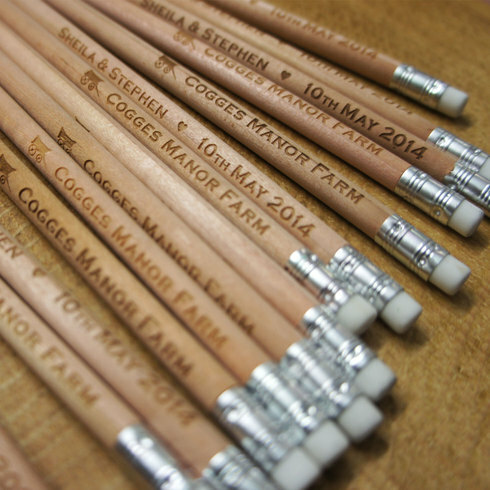 They also do more traditional designs and some with a calendar that you would put your wedding date on. 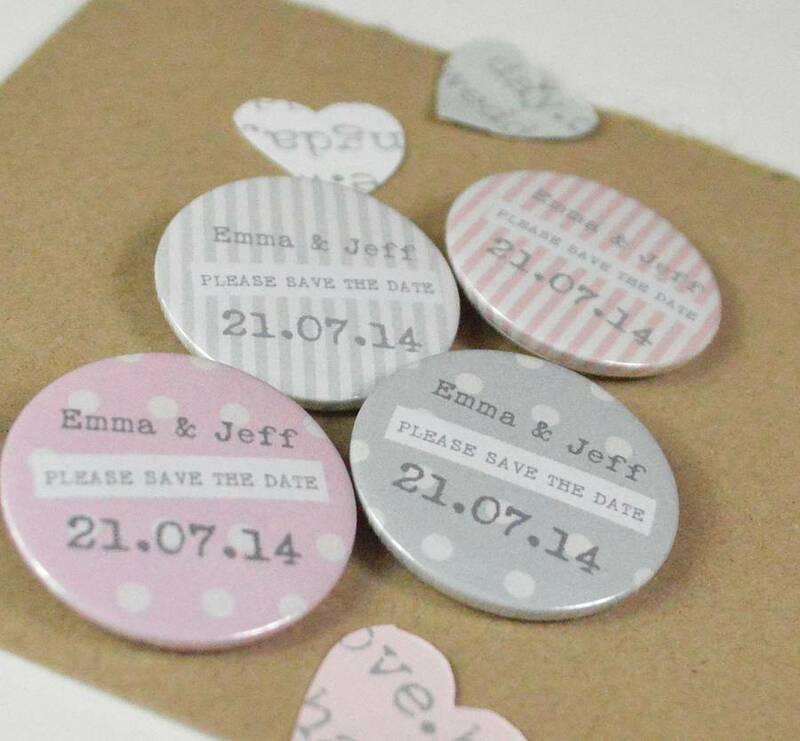 This is a vendor on the website notonthehighstreet.com and these magnet save the dates are beautiful and super simple, I suppose your names and the wedding date is as much as your guest needs at this point. These look really professional in my opinion. 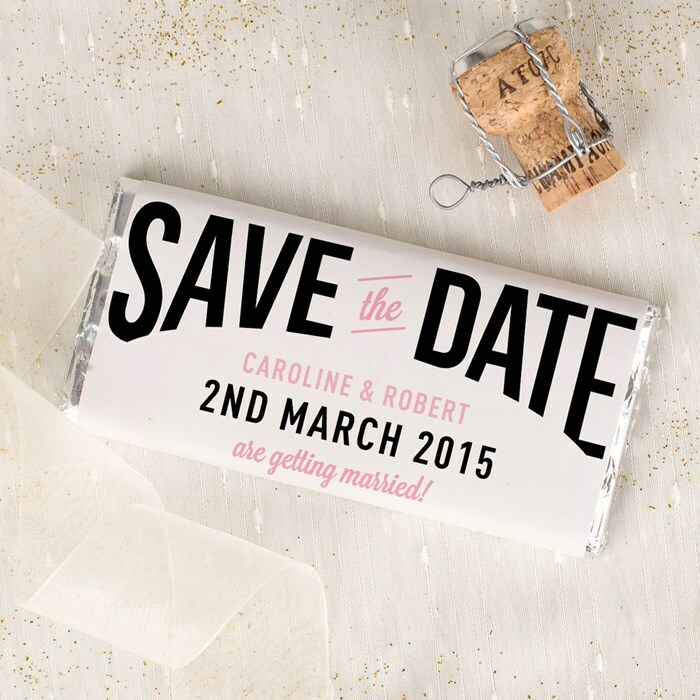 Personalised chocolate bars, what gets better than that? These are such a good idea as they are different and you guest is getting something out of it not just a reminder of the big day. If you are not inviting a huge amount of people I think these are ideal. This website does all kinds of personalised items these chocolate bars are just one of hundreds if you can think of an item they probably can personalise it. The chocolates seem to only come in a few designs but they still look great. The website shows you the chocolate ingredients in case any of your guests has allergies. 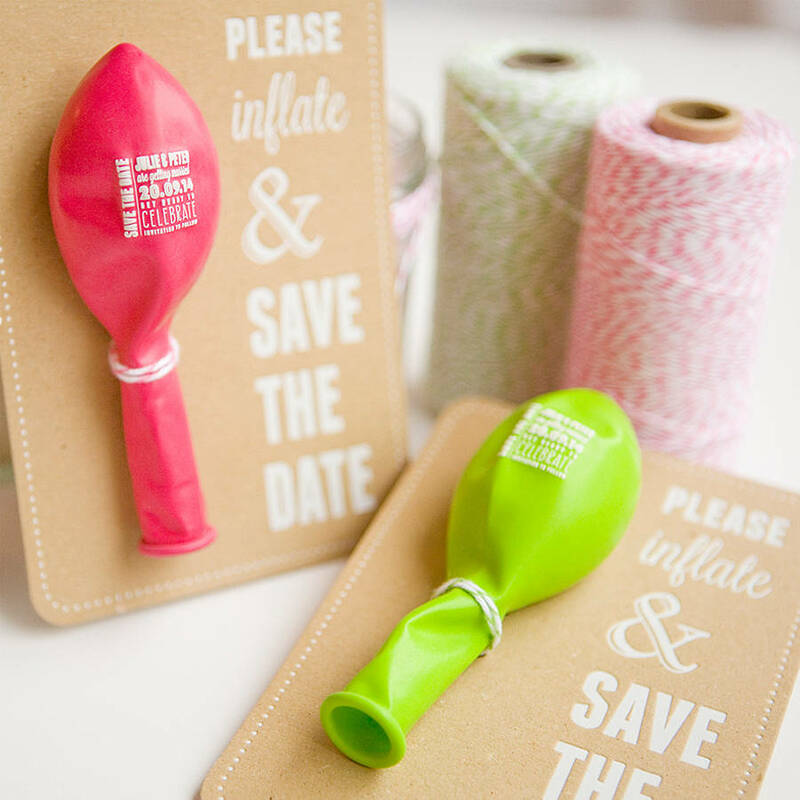 These are a bit of a novelty item but they are definitely different, when you give someone a save the date you want it to stick in their heads and this is a good way of them to get talking about it with other guests and have a bit of a giggle, also if you have lots of children invited to the wedding this is fun for them as well. Again notonthehighstreet.com is where I found these, its a great website to find quirky and personalised items in the UK. I find notonthehighstreet.com easier to use then Etsy. This is kind of a miscellaneous category but I just had to mention all the great ideas on this website. The wooden items just look really classy and look like you went to loads of effort. 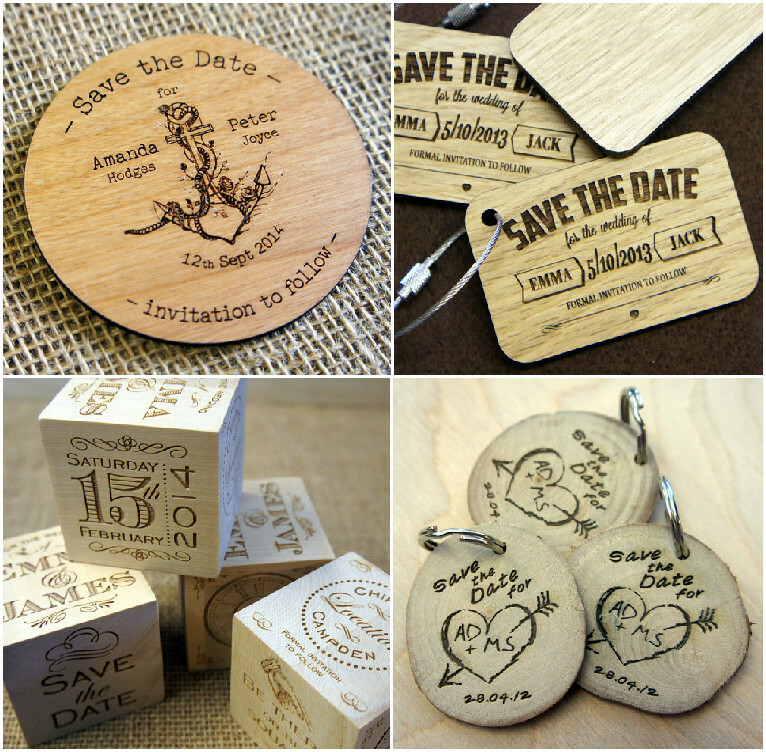 You can get all kinds of Save the Dates from pencils to wooden key-rings, wooden magnets and even Save the Date cubes which people could use as ornaments or paper-weights. I wish I had seen this before we bought our save the dates. These are really great keep sakes for after the wedding has been and gone as well, people are a lot less likely to throw away wooden items like this. So I hope you liked this. 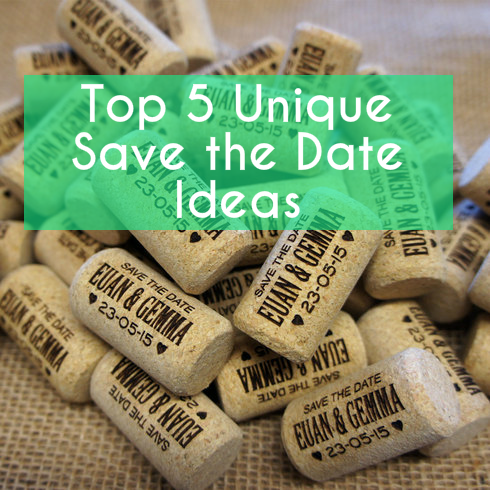 What did you do for your Save the Dates at your wedding? 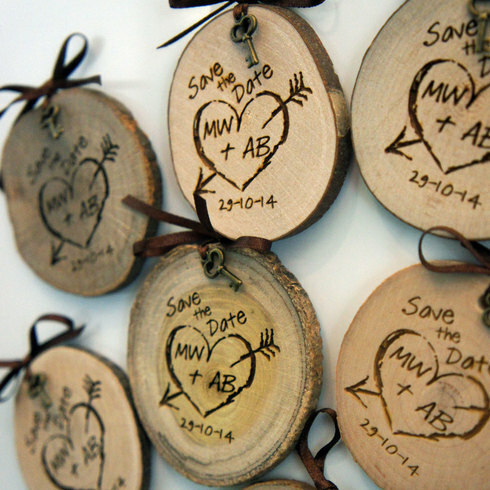 or do you think you will chose one of these ideas for an upcoming wedding?